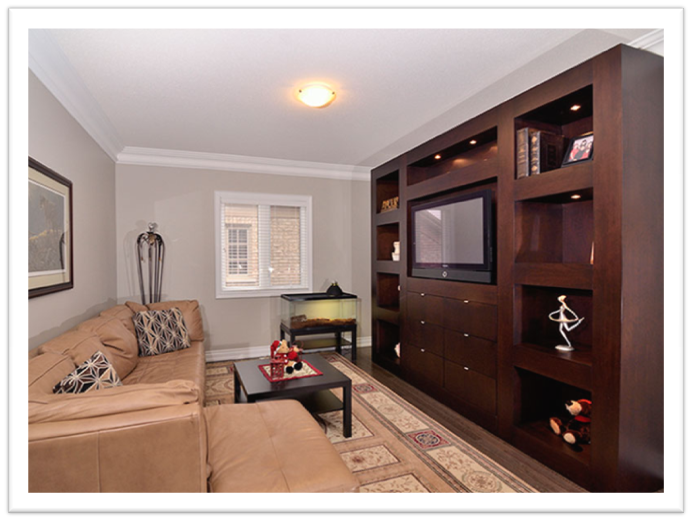 Design Your Own Custom Entertainment Unit to Add Style to Your Home! Visit a home and if you would like a close peek into the family and its lifestyle, you should take a look into their entertainment section. You’ll be surprised at the secrets this particular piece of furniture reveals. For instance, if you see a stylish centre with lots of space for DVDs, a huge TV, speakers, and an advanced music system, you can guess that this custom entertainment unit belongs to a bachelor. But if you also find pretty china ornaments, a few pictures, candles, and perhaps, a few potted plants, recognize the touch of a woman and the home of a couple. A custom entertainment unit for a family has a lot more. Like we design them at Space Age Closets, you’ll find lots of storage space for books at a lower level so kids can reach them easily. You’ll also find drawers so parents can pack away breakable things out of reach of small kids. If the family has older kids, you’ll probably see a row of pretty framed pictures that mark the different milestones in their kids’ lives. Would you like to know the secret of a grandparent’s house? Look for lots of framed childish art, baby pictures, and cute mugs that say, “World’s Best Grandpa” or “World’s Best Grandma.” You may also find exquisite works of art, vacation souvenirs, and other mementos collected over a lifetime of rich and fulfilling experiences. If you’re looking for something that is more than furniture but a showcase of your life, check out the custom entertainment units that we design at Space Age Closets. We welcome you to talk about your expectations and requirements and we’ll create the perfect unit you have in mind. Work with us for the kind of wood finish that matches your decor and the kind of shelves you need to display your treasures. Would you like them placed in the open or would you prefer them encased in glass? What is the height of each souvenir or picture? We ask the questions to make your visions come alive. So, bring your dreams to us and we’ll create the perfect ambience for them. At Space Age Closets!